Gift a few words of optimism to the newlyweds, the couple celebrating twenty-five years or the graduate stepping fearlessly into new territory! Slate finished reclaimed steel with display space for an appropriate celebration photo. 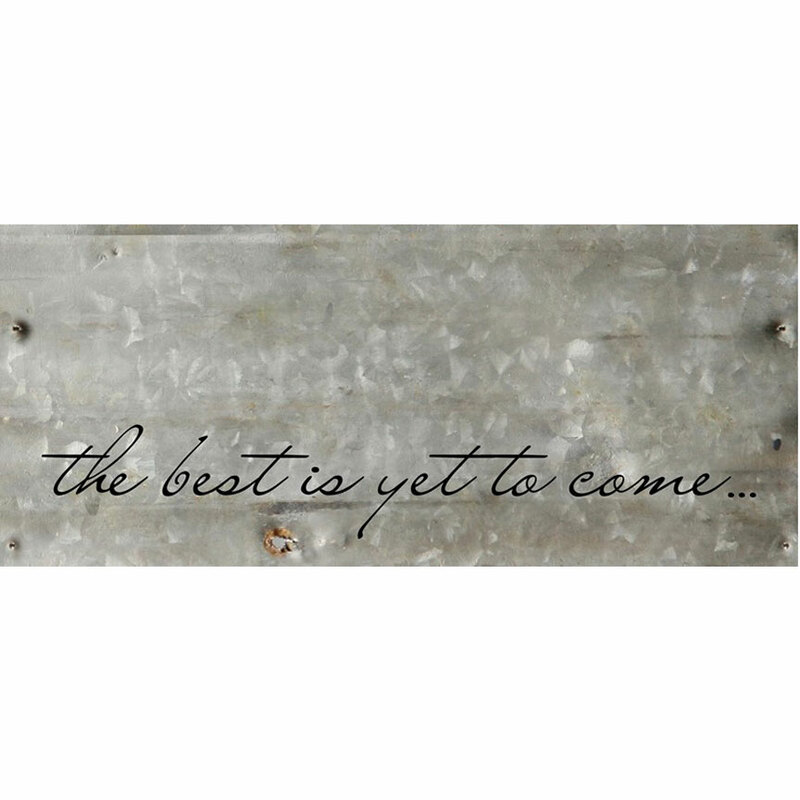 This reclaimed metal sign reads: The best is yet to come.